Now that the sun has reluctantly come out after what seemed like an eternal winter, it’s time to switch gears to spring mode. To celebrate the melting of the snow for the fifteen hundredth time, it is time to crack open my spring wardrobe. 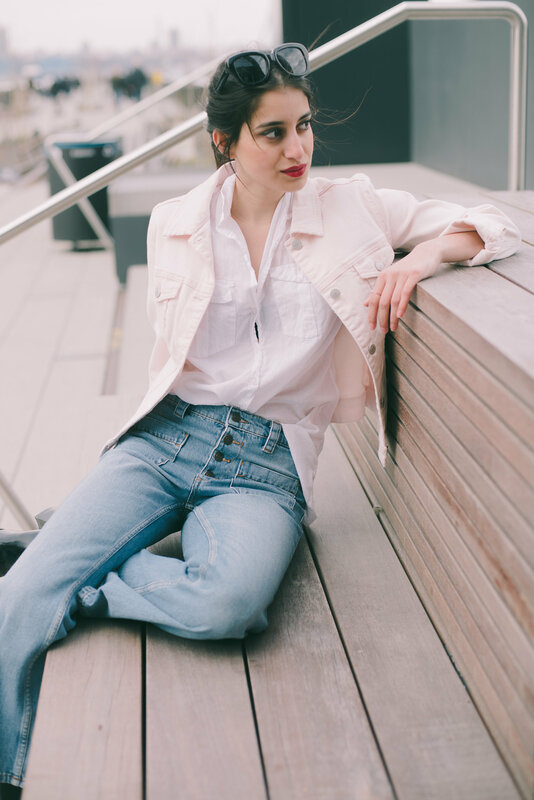 One of my favorite looks for this season is denim on denim, which can be worn in a myriad ways, ranging from skirts, shorts and tops to jackets. 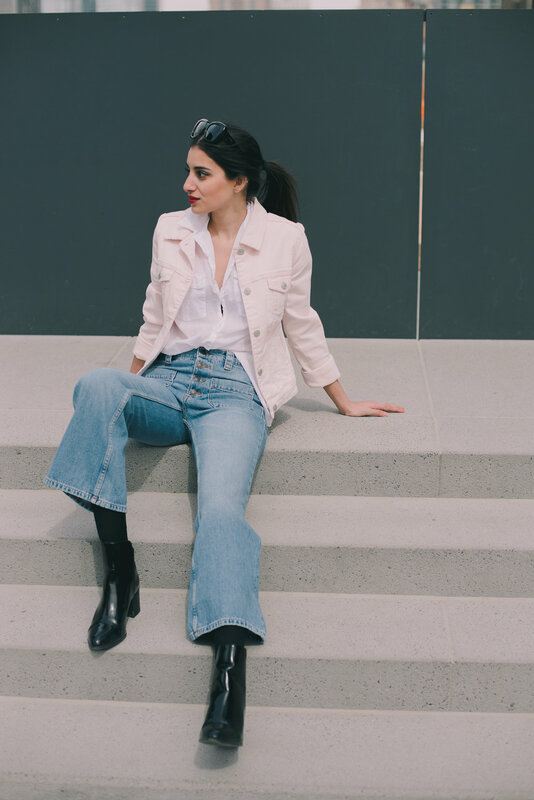 While this extremely versatile look can be emulated as easily as by throwing a denim jacket on over a pair of jeans, people are often skeptical about coupling denim with more denim. Here are some denim looks currently trending: Gucci’s mini skirt; Marc Jacobs’ military get up and lastly Hailey Baldwin for Top Shop. Embrace the 70’s hippie in you and consider investing in some flared jeans, which are inundating the runways. White denim is also trending, along with denim skirts and dresses. It’s time to bid adieu to those low rise skinnies and up your denim game. 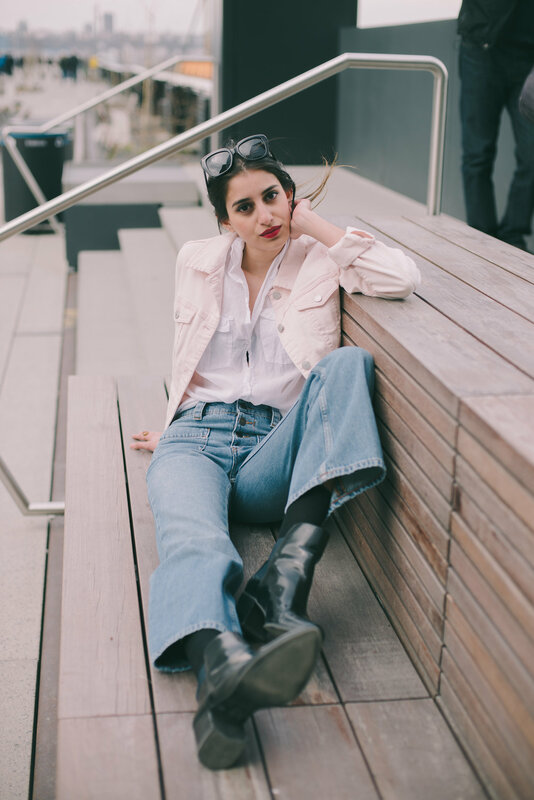 For my own denim on denim look, I decided to go with a pop of color to ring in the spring. I’m wearing a pink denim jacket from Mango paired with a white button up. For bottoms, I’m wearing Zara high waisted, 70s inspired flared jeans, which are mandatory spring fashion. I hope this inspires you all to take a little risk and whip out your best denim for the spring.